A Step by Step Guide to Using your Large Format Camera for the First Time. It might look archaic, but a large format camera can produce fantastic images with the equivalent of over 100 mp. Learning how to use a large format camera can seem a bit daunting if you are used to using a DSLR. There is no automation, and the camera is literally little more than a light tight box. In reality, there is nothing inherently difficult about making a photograph with a large format camera. You just have to be a bit more patient and a bit more methodical. The main differences are ergonomics and speed of operation, the principles of photography stay the same. Large format photography is much slower than digital photography, or even film photography with roll film or 35mm cameras. Some would argue that it is almost a different art form, because of the way it forces you to work. Large format requires quite a lot of equipment in addition to the camera, so it’s a good idea to have a checklist of all things you need, especially if like me, you share some of that equipment with other set ups. It’s easy to forget something like your loupe or rocket blower, and it’s a real pain if you do. You can keep your list in your camera bag so you can get into the habit of checking everything before you go. I keep mine on my smartphone, along with an app for depth of field calculation, and one that works as a light meter. A handy back up in case I forget my incident meter. A Copal Shutter with a 210mm lens fitted. Nothing here is very complicated. There are no fancy modes, just a clockwork shutter and a fully manual aperture. 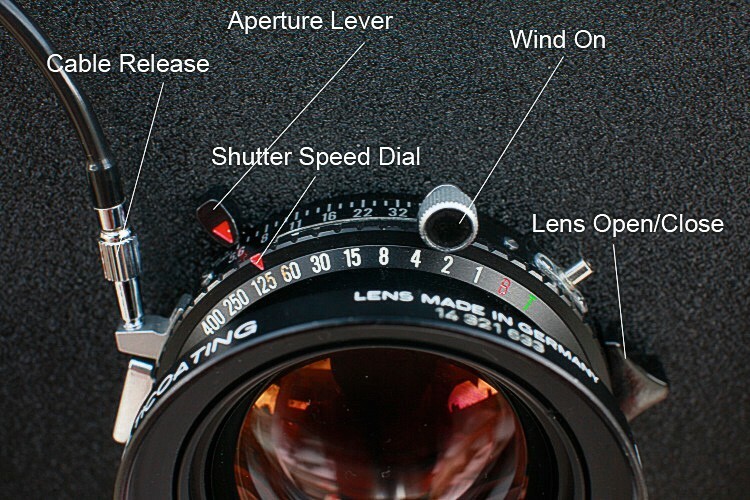 Your main camera controls are all on the shutter that the lens is fitted to. This is a modern Copal No.1 shutter, but most shutters made over the last 50+ years have a similar layout. Never adjust the shutter speed after cocking the shutter!! Your only two exposure controls are shutter speed and aperture, ISO is governed by your film choice, and set on your light meter. Your film holders should be labelled by film type and speed for reference. Making your First Large Format Photograph – Step by Step. 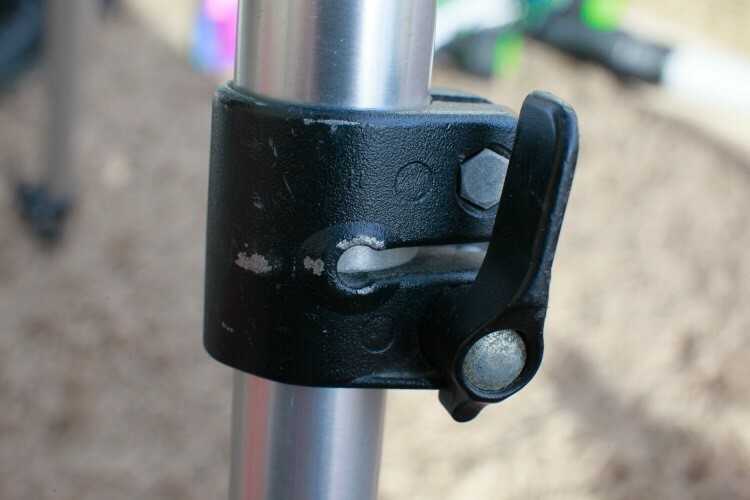 Before Setting up your camera, make sure that your tripod legs are properly locked. Large Format cameras are heavy and well made, but very likely to break if they are dropped! 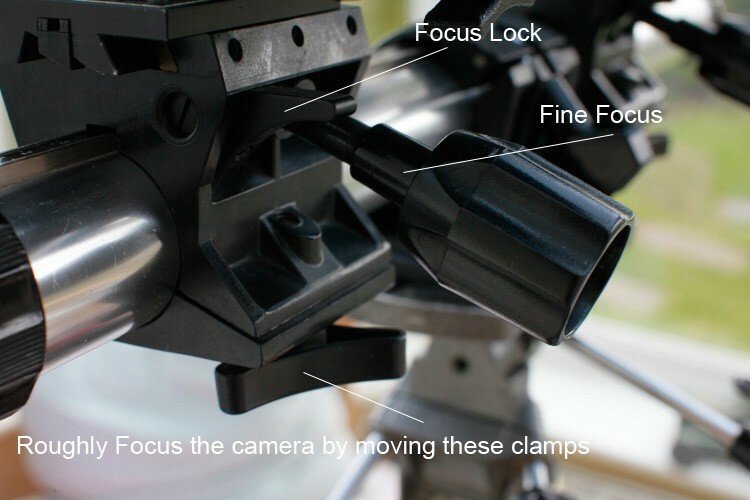 Periodically check that any nuts and bolts on your tripod clamps haven’t come loose. Set up your tripod, making sure all the legs are locked in place. Fix your camera to the tripod, and attach a lens. Fully open up the aperture on the lens. Screw in your cable release to the shutter. Large format photography is all about detail and resolution. Make sure that you have a stable tripod to shoot with. Nothing is more frustrating than having sharpness-robbing vibration ruin your shots. When you first set up your camera, use the spirit levels to make sure it is straight and level. This makes it much easier to adjust things later. 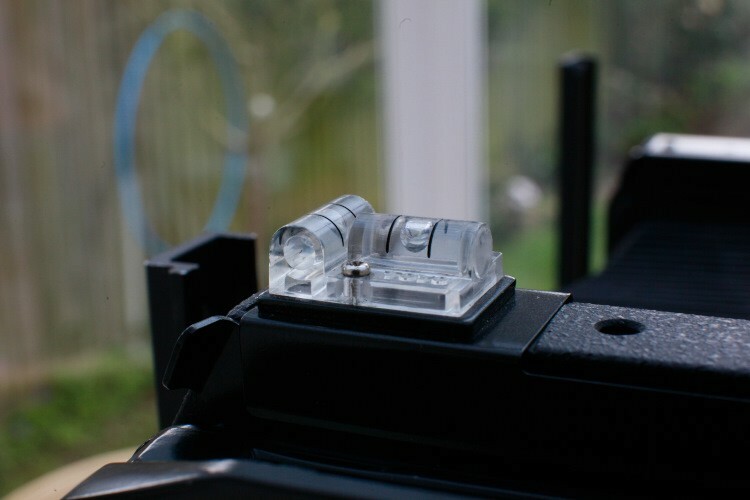 Using the spirit levels on the camera to make sure it is perfectly level – vertically and horizontally. It’s best to start off with a straight and level camera, making sure that all tilts, swings and shifts are also zeroed. Most cameras will have detents on the main camera controls so the zeroed settings will just gently click into place. 4×5 has very shallow depth of field, so an inadvertently tilted or swung standard, or a camera that is not level can give you strange focus issues. It’s much easier to start with everything parallel and perpendicular. Also make sure that once you’ve zeroed the camera you lock off all the controls. That way you won’t get tilts or swings moving while you focus or vice-versa. Step 3. Initial Focus and Composition. These controls are not the same for all cameras. Field cameras in particular may not have both front and rear focus controls. Use your dark cloth and focus the camera by eye. You don’t have to use a magnifier until later. 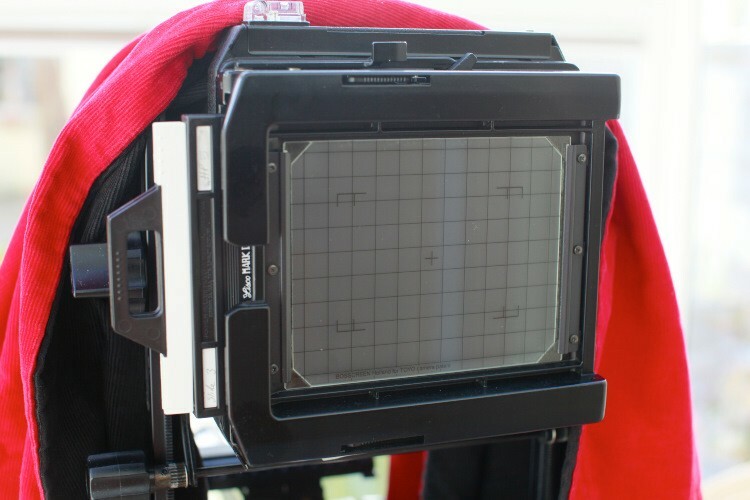 Then begin to compose the picture using the ground glass. Remember you can use shifts to recompose the picture, you don’t have to move the tripod unless you need to change your point of view drastically. Once you have done this, try to work out what aperture you think you will need. Take a light meter reading to see how much light you have to play with, and try to figure out how much depth of field you think you need. There are smart phone apps that will help you with this, and make the process much easier. Generally, large format photographers shoot at around F11- F32. It’s not a rule, but most lenses are optimised for F22. The widest apertures are mainly there for ease of focusing. Try and use either F16 or F22 when you are starting off, it will be more forgiving of a beginner’s focusing technique. You can always experiment with shallow depth of field later. Press you loupe against the ground glass to focus. Remember depth of field is thin so check everywhere you think you need to. Don’t assume that things you THINK are on the same focusing plane are actually in focus. 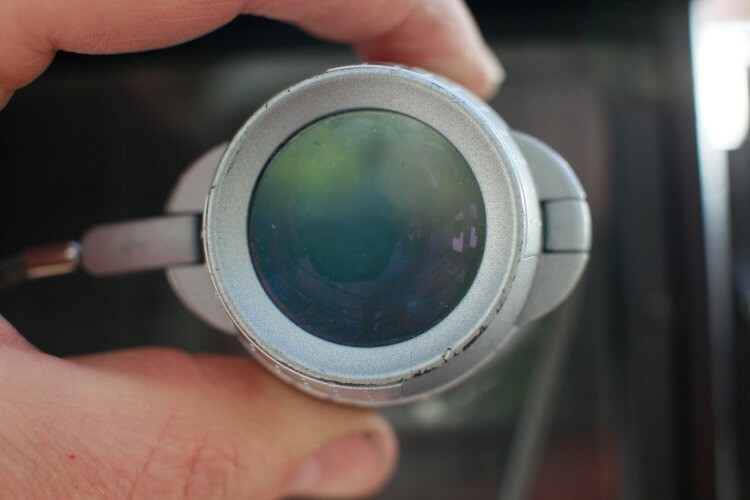 Use your loupe to check that the image on the ground glass is sharp in all the places you want it to be. It is usually best to focus wide open then stop down to your working aperture to check you have enough depth of field. It is as this point you would use tilts and swings to maximise depth of field. Tilts and swings are not that difficult, but would take up too much space to deal with them here. So for now let’s assume you don’t have to use them. Once you are happy with focus check the corners of your image to make sure there is nothing creeping into the edge of frame. One of the beauties of a large format camera is you can compose your images very precisely, so make sure you take advantage of it. These controls are typical of the type you get on monorails. Once you are happy with your focus and composition, lock down all the controls on your camera. Ideally, you should lock each control after you have finished adjusting it. That way you don’t inadvertently move any controls while adjusting something else. In reality, you may find yourself adjusting a couple of things at once, like tilt and focus, and will lock both down together once you have finished. Step 6. Final Meter Reading. Set Aperture and Shutter. Close Lens. 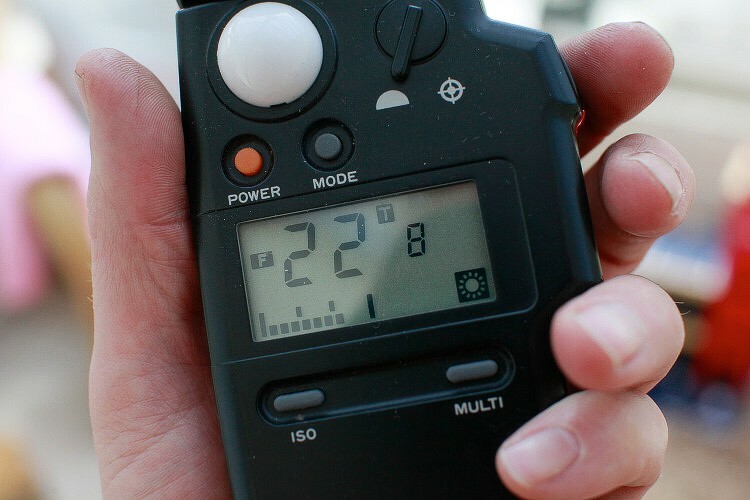 A light meter is the easiest way to calculate exposure. A DSLR is also good but is another heavy thing to carry. Take a meter reading and make your final shutter speed and aperture selection. I tend to do this quite late on because I live in the UK and the light can vary quite a lot with shifting cloud cover. Remember you can damage the shutter if you change the shutter speed when it is wound on, so always check before selecting your shutter speed. 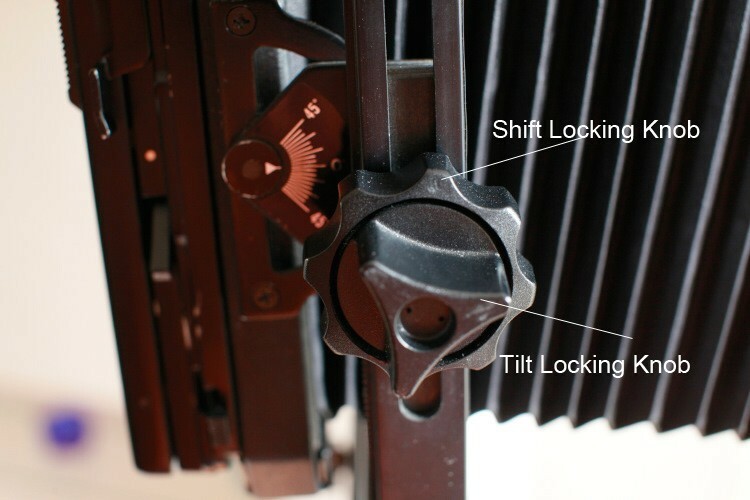 Once you have done this close the shutter so the camera is light tight and ready to receive a film holder. 7. Insert Film Holder. Remove Dark Slide. Trip the Shutter. The camera with film loaded ready to shoot. 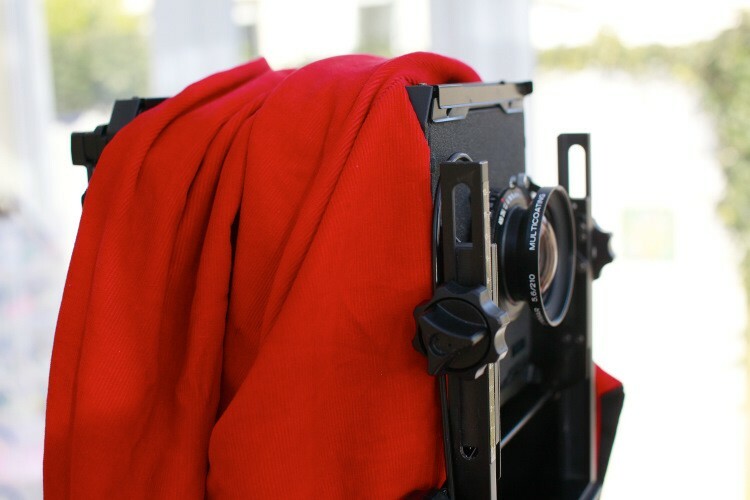 It is good practice to leave your dark cloth over your bellows in case of pinholes. Remember to periodically check your bellows for faults, especially before important shoots. Take out you film holder and remove any surface dust with your blower. You can also tap the holder onto the palm of your hand to dislodge any dust on the film. It should fall to the bottom of the holder. Insert your film holder gently. Your camera should be locked down but it’s best to err on the side of caution in case something moves. Double check that the lens is closed and the camera is light tight. Remove the dark slide. You are now ready to expose the film. Use the cable release to trip the shutter in one smooth stroke. As an extra precaution some photographers stand slightly away from the camera to avoid causing any vibrations. If you are a portrait photographer sometimes standing behind the camera can help you judge the correct moment of exposure. Once you have tripped the shutter carefully reinsert the dark slide with the black (exposed) tab facing out. Put the holder somewhere safe and then check the ground glass to see that focus hasn’t shifted. At this point many photographers make another duplicate exposure for safety. That of course is up to you. Congratulations, you have just made your first large format photograph! If you have found this tutorial useful please share it and help keep film alive. This entry was posted in advice for new photographers, Analogue Photography, Blog, Film Photography, Hints and Tips, Large Format Photography.